§ 174-3 Residential solid waste and recycling areas of collection map. § 174-6 Storage of refuse. § 174-7 Preparation of materials for collection. § 174-9 Special regulations in regard to vehicles. § 174-12 Penalties for offenses. This chapter shall be known as the "Solid Waste Management Law of the Town of Greece." For the purpose of providing for a better quality of life, to protect and promote the health, safety and welfare of the residents of the Town of Greece by controlling the storage, collection and disposal of solid waste generated within the Town in the most economical and environmentally acceptable manner; to maximize reduction, reuse and recycling in the management of solid wastes generated in the Town of Greece; to minimize potential environmental impact of wastes processed by or on behalf of the Town of Greece within or outside of the Town; to protect the drinking water supply in the Town of Greece; to mitigate the visual effects and sounds associated with the collection of refuse daily within the whole Town, to provide better utilization of the existing refuse collection services that do business within the Town, to enhance the distribution, comfort, convenience, safety, health and welfare of its residents; to implement the Town of Greece Solid Waste Management Law of the Town of Greece; to comply with the requirements and further the purposes of the New York State Solid Waste Management Act, the New York State Solid Waste Management Plan; to recognize that residential solid waste and recycling is being carried out by several privately held residential solid waste and recycling collection businesses, each of which have an investment in their businesses and the collection routes that they use, the Town Board may, by resolution, determine and establish residential solid waste and recycling areas and the days of the week within which the residential solid waste and recycling collection businesses may operate within those residential solid waste and recycling areas. Town Board authorization. Upon recommendation from the Commissioner of Public Works, the Town Board is authorized, from time to time, by resolution, to determine and establish residential solid waste and recycling collection areas and the days of the week within which the residential solid waste and recycling collection businesses may operate within those residential solid waste and recycling collection areas. Each such area will have collection occur at a minimum of two days per week. Such resolution shall approve a map, setting forth the residential solid waste and recycling collection areas and the days of the week within which the residential solid waste and recycling collection businesses may operate within those residential solid waste and recycling collection areas. Filing of map. After the resolution of the Town Board accepting the map of the Town containing the residential solid waste and recycling areas of collection and the days of the weeks when residential solid waste and recycling collection is allowed within those areas, such map shall be filed with the Clerk of the Town of Greece. The Clerk of the Town of Greece shall notify every residential solid waste and refuse collection business operating within the Town of the residential solid waste and recycling areas of collection by sending them a filed map containing the collection areas. Notice to residential solid waste and recycling collection businesses. Mailing of the filed map shall be sufficient notice that the residential solid waste and recycling collection businesses have knowledge of the residential solid waste and recycling collection areas and the days of the week that residential solid waste and recycling collection is allowed. Duration of residential solid waste and recycling collection area designations. All residential solid waste and recycling areas of collection and the allowed days of the week for the collection shall remain in full force and effect unless subsequently modified by a resolution of the Town Board. Commencement. The collection areas and the days of the week that residential solid waste and recycling collection is allowed will commence as set forth in the resolution of the Town Board which adopts the map containing residential solid waste and recycling collection areas and the days of the week that residential solid waste and recycling collection is allowed. A receptacle for the storage of refuse or waste made available for pickup that is watertight, securely closed, and contains a proper cover. A plastic or paper bag is an approved container, provided it meets the requirements set forth in this chapter. All such receptacles shall be of not less than 18 gallons in capacity and may not exceed 32 gallons in capacity. When filled with refuse or weight, no container may exceed 50 pounds in weight. The above notwithstanding, all receptacles must be of sufficient strength and constructed of material sufficient to carry the weight and capacity of the material to be disposed of in such receptacle. Where a receptacle is mounted on an axle with wheels with an attached lid, such capacity shall not exceed 100 pounds. Wheelbarrows, lawn carts, fifty-five-gallon drums, fiber barrels and waste baskets are not considered suitable containers for collection of garbage/refuse. Any and all permitted or specifically exempt facility or facilities for processing, reprocessing and/or recycling recyclable materials which are specified in the rules and regulations promulgated pursuant to this chapter. This term shall exclude incineration facilities, waste-to-energy facilities and landfills. Waste materials of large size typically constructed of sheet metal or wood and/or which cannot be readily collected and/or disposed of in its original size and shape. Bulky refuse includes but is not limited to large appliances such as stoves, refrigerators, washing machines, hot-water heaters and dishwashers; household furnishings such as tables, chairs, sofas, bed frames, broken furniture and mattresses; and derimmed vehicle tires up to 16 inches in size. Other waste materials may be categorized as bulky refuse in the future at the discretion of the Commissioner of Public Works. Those geographic area in the Town where residential solid waste and recycling collection will occur. Those days of the week when residential solid waste and recycling collection is allowed. Uncontaminated solid waste resulting from the construction, remodeling, repair and demolition of structures, and includes but is not limited to remodeling waste such as bricks and other masonry materials, wood, wall and floor coverings, plaster, drywall, plumbing fixtures, nonasbestos insulation, roofing shingles, unsealed plastics and metals that are incidental to any of the above. Putrescible solid waste, including animal and vegetable waste resulting from the handling, storage, sale, preparation, cooking or serving of foods. Garbage/Rubbish originates primarily in home kitchens, stores, markets, restaurants and other places where food is stored, prepared or served. Garbage/Rubbish includes but is not limited to food waste, rags, packaging, clothing, sweepings, ashes, crockery, shells and some wastepaper. Commemorations recognized by law, and includes Christmas Day, New Year's Day, Thanksgiving Day, Memorial Day, Independence Day and Labor Day. Household waste which, but for its point of generation, would be a hazardous waste under 6 NYCRR Part 371. Household hazardous waste includes but is not limited to used oil, paints, solvents, drain cleaners, pesticides and herbicides. Hazardous wastes generally exhibit one or more of the following characteristics: ignitability, corrosivity, reactivity, carcinogenicity or toxicity. Any individual, firm, partnership, company, corporation, association, society, group or other legal entity. Wood-pulp-based material which is usually smooth on both sides with a corrugated center; commonly used for boxes; excludes material with wax coating. New and used glass food and beverage containers which have been rinsed and are free of food contamination, including clear (flint), green and brown (amber) colored glass bottles. Glass shall not include ceramics, plate glass, auto glass, Pyrex, leaded glass, mirrored glass or flat glass. Magazines, glossy catalogs and other glossy paper. White and colored office bond, duplicating paper, computer paper and other high-quality paper. Stoves, refrigerators, dishwashers, dryers, washing machines, water heaters and other large appliances and scrap metal, excluding air conditioners, microwaves and televisions. Common, inexpensive machine-finished paper made chiefly from wood pulp and used for newspapers. This term excludes magazines. Includes logs, pallets and other wood materials. Material resulting from the construction, renovation, equipping, remodeling, repair and demolition of structures and roads; and material consisting of vegetation resulting from land clearing and grubbing, utility line maintenance and seasonal and storm-related cleanup. Such material includes, but is not limited to, bricks, concrete and other masonry materials, soil, rock and asphaltic pavement. Grass clippings, leaves, garden debris, brush, small or chipped branches, stumps and logs. Brush includes sticks and small branches which do not exceed four feet in length and are tied in bundles. Any refuse collector or hauler that services single- or double-family dwellings in the Town of Greece. Anything putrescible or nonputrescible that is discarded or rejected as useless or worthless and is eligible for collection under this chapter. Refuse does not include hazardous waste or recyclables. Any person, firm, corporation or legal entity licensed by the Town of Greece to carry on the business of solid waste and recycling materials collection within the Town of Greece. 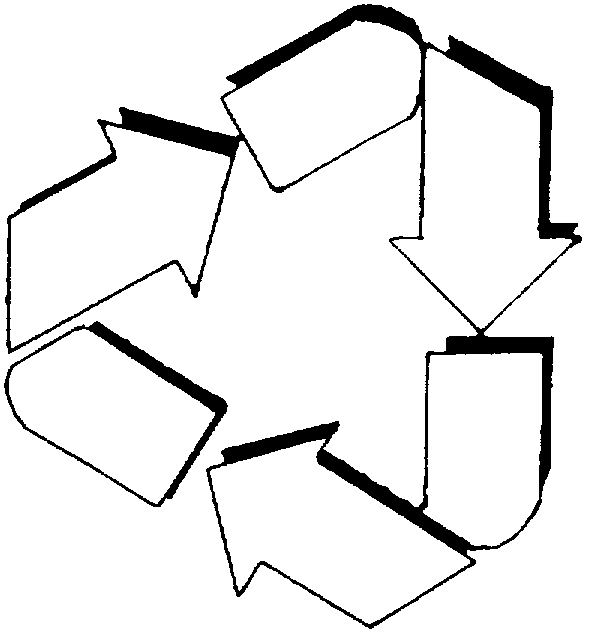 Includes source separation; recycling programs; changes to the packaging portion of the waste stream to reduce solid waste generated; activities and enterprises of scrap dealers, processors and consumers; and other programs designed to reduce the volume of solid waste or enhance reclamation and recovery of solid waste or recyclable materials otherwise destined for the municipal waste stream. For purposes of this definition, such waste stream reduction programs shall not include the processing of waste for incineration or disposal by landfill or other means. No person shall engage in the business of receiving, collecting or transporting garbage/rubbish, bulky refuse, construction and demolition waste, or recyclable materials except for construction and demolition debris materials in the Town of Greece without first obtaining a license to carry on such business from the Town of Greece and paying the fee for such license as herein provided. Nothing herein contained, however, shall be construed to prevent any person from transporting for the purpose of disposal such garbage/rubbish, construction and demolition waste, bulky refuse, yard waste or recyclables as is normally generated by such person on his own premises or in his own business or not for hire. Licenses issued pursuant to this section shall be for a period one year. An annual fee shall be charged for licenses issued pursuant to this section. Such fee shall be determined by the Town Board, by resolution, and may be adjusted from time to time. All licenses will be effective July 1 to June 30 for the year. Application forms shall be provided by the Town. Each applicant shall state in such application his/her name, address, legal character (whether corporation, partnership or individual), name and address of all stockholders, directors or partners, whether he/she or any stockholders, officers, directors or partners have ever been convicted of any crime and such other information as the Town Board may require. The Town Clerk is hereby authorized to issue temporary permits to any licensed refuse collector to use such additional trucks as are necessary for a period not to exceed 30 days for a fee as determined by the Town Board. All refuse collectors shall provide proof of access to a legal disposal facility. Upon request and when applicable, residential solid waste and recycle collection businesses shall provide a route list and the name and address of a backup service company in the event of equipment or manpower failure. Bond. A surety bond in the penal sum of $5,000 shall be executed by every person or corporation engaged in a residential solid waste and recycling collection business within the Town of Greece and shall be filed with the Town Clerk before such license shall be issued. Such bond shall be conditioned that said licensee shall comply with the laws, codes, ordinances and regulations of the State of New York, County of Monroe, Town of Greece, and all lawfully issued orders of the Town Board, and that the Town of Greece will be indemnified and held harmless from any and all claims for any damages of liabilities, including attorneys fees, caused by or arising out of any act or omission of the licensee, his/her agents or employees or by his/her failure to comply with applicable statutes, ordinances, rules, regulations or orders. Said bond shall be in such form and contain such sureties as shall be approved by the Town Board or its designated representatives. Conditions imposed in license. Every license issued by the Town Clerk pursuant to this chapter shall be subject to the following conditions and to such other reasonable conditions as may be imposed by the Town Board. All requirements of licensing must by complied with by July 31 of each year. Vehicles used by licensed refuse collectors in the collection and transportation of garbage/rubbish, bulky refuse, construction and demolition waste or recyclable materials within the Town of Greece shall have watertight, enclosed bodies and shall be equipped with a compaction unit to the extent practicable by existing technologies. Open service trucks equipped with a suitable cover or tarp may be used for the purpose of collecting bulky refuse, construction and demolition waste and recyclable materials, and at the discretion of the Commissioner of Public Works, garbage/rubbish. Inspection of vehicles used by refuse collectors. All vehicles used by licensed refuse collectors shall be available for inspection by the Commissioner of Public Works or any other person or persons whom he/she may designate as his/her agent prior to the issuance of any license pursuant to the provisions of this chapter. Such vehicles shall pass inspection if they comply with the applicable provisions of this chapter and any other such standards promulgated and issued by the Commissioner of Public Works. Issuance of license. Upon payment of the license fee for each and every vehicle used in such collections and transportation as set forth in this chapter and upon approval by the Commissioner of Public Works of the application therefor, the Town Clerk shall issue to the owner a license which shall be affixed to a conspicuous and an indispensable part of each and every such vehicle, on which shall be set forth clearly the official number of such license with the words "Town of Greece Solid Waste Collection License." Transferability of license. No license issued under the provisions of this chapter shall be transferable. Insurance. All trucks must have a minimum liability insurance policy for personal injuries in the amount of $500,000 per person and $1,000,000 per accident and $100,000 coverage for property damage. Adequate proof of insurance must be furnished by each refuse collector indicating these limits, including contractual liability, and the Town of Greece is to be named in a policy endorsement as an additional insured. Telephone. The refuse collector must provide forthwith and at all times during the term of the license a telephone and be prepared to receive and answer messages for a minimum of eight hours every business day of the year, from the hours of 8:00 a.m. to 4:00 p.m.
Ineligibility. No individual, whether owner, officer, partner or director of a corporation, will be eligible for a license if the applicant shall have been convicted of a misdemeanor or felony which, in the judgment of the Commissioner of Public Works renders the applicant unfit or undesirable to carry on with the duties involved with a refuse collector. Proper language and demeanor. No person and/or resident, refuse collector or employee shall be under the influence of drugs and/or alcohol or use gross discourteous language during collection or when discussing business over the telephone. Changes in ownership. Any changes in ownership where the license is not affected must be reported to the Town Clerk within five days. Said changes must be approved by the Commissioner of Public Works. Service refusal. No residential solid waste and recycling collection business shall refuse to render service when asked by any person located within the collector's service area. Terms and conditions of providing collection service shall be agreed upon between the individual and the collector but shall be uniform for all customers and shall not discriminate for other than valid business reasons. The refuse collector shall continue to provide service during any dispute with any person but shall have the right to appeal to the Commissioner of Public Works relative to continuing the service to any person. The Commissioner of Public Works shall render a decision within 30 days of the written presentation of the appeal to him/her. All residential solid waste and recyclable collection businesses must offer in addition to their normal full service rate at least one optional low volume rate to their customers. This low-volume rate must provide for pickup of recyclables as well as small amounts of garbage and rubbish. The residential solid waste and recycling collection business must have available for sale to their customers special bags or stickers, which can be bought in advance. When a special bag or bag with a sticker is placed at the curb, it will be picked up. The pickup of bulky refuse, construction and demolition waste or debris and yard waste would not be included without an extra charge to the low-volume rate customer. No person shall accumulate or permit the accumulation of refuse upon any premises owned or occupied by him/her except for the purpose of collection which shall normally occur at intervals not less frequent than once every seven days, except for holidays, Sundays, vacations or extraordinary weather or except where caused by or arising out of the construction or remodeling of a dwelling or other building on the premises or incidental to the landscaping of said premises or customary agricultural operations thereon, in which cases due care shall be taken that such accumulation shall not create an unsightly appearance or unreasonably disturb the comfort and repose of the neighborhood, and shall be removed within a reasonable time or immediately upon completion of the work causing such accumulation. The determination of violations related to this provision shall be in the sole discretion of the Building Inspector. Keeping required number and type of receptacles. Every owner, tenant or occupant of any building, premises or place of business within the Town of Greece shall provide or cause to be provided and at all times keep suitable and sufficient receptacles for receiving and containing garbage/rubbish that may accumulate or be used upon said premises. Every owner, tenant or occupant of any building, premises, except vacant land, or place of business must be able to demonstrate that they are serviced by a refuse collector licensed by the Town of Greece. No such receptacles shall be kept near any public place longer than may be necessary for the removal of the contents thereof. Such receptacle shall be a container of sufficient capacity, and said container shall have handles and a tight-fitting cover and shall be watertight. All receptacles should be closed at all times. Lawn carts, wheel barrels, fifty-five-gallon drums, fiber barrels and wastebaskets are not considered suitable and sufficient containers. No person shall throw or deposit or cause to be thrown or deposited any refuse, hazardous waste or recyclable materials in or upon any portion of a public right-of-way, street or place or on any property not owned or occupied by him/her, not in any refuse container not owned, leased or rented by him/her within the Town of Greece. Preparation of recyclables for collection. Recyclables shall be prepared for collection in accordance with guidelines provided by the refuse collector and approved by the Town or otherwise established by the Town. Residential solid waste and recycling collection businesses shall provide curbside collection of recyclables. Recyclables to be picked up must be set out in appropriate containers as specified by the Commissioner of Public Works, or any subsequent and pertinent ordinance or law, and be at the curb no later than 7:00 a.m. on the day of collection, and no material may be placed at the curb before 12:00 noon on the day preceding the scheduled collection day. All refuse collectors must be in compliance with the Monroe County Solid Waste Recycling Law. Prior to initial collection or transportation, such solid waste shall be source-separated by the generator into recyclable materials and remaining solid waste as provided in the rules and regulations promulgated hereunder. Source-separated recyclable materials shall not be commingled with other solid waste during collection, transportation, processing or storage following collection. All brush must be cut to a length of not more than four feet, placed neatly in piles, and shall not intrude into any paved area of the roadway or obstruct the sidewalk. All branches/brush under two inches in diameter must be bundled. The bundles should be bound with rope or twine (not wire), should not weigh more than 50 pounds and should not be more than 16 inches across. In the fall, leaves may be collected by the Town. All leaves collected by the Town must be in minimum thirty-gallon, two-ply paper bags provided by the resident and suitable for acceptance at a compost facility or in containers approved by the Commissioner of Public Works. Wheel barrels, lawn carts, fifty-five-gallon drums, fiber barrels and waste baskets are not considered suitable containers for collection of leaves. All leaves must not be mixed with other refuse materials set out for collection. Town leaf collection may begin on or about October 15 of each year, ending on or about December 31 of each year. Grass clippings will be collected by residential solid waste and recyclable collection businesses on a year-round basis. All grass clippings should be prepared for collection in a method suitable for acceptance at an authorized composting facility. No container shall weigh more than 50 pounds. All grass clippings must not be mixed with other refuse materials set out for collection. Shrubs, sod, dirt, stumps and logs may be collected by the Town of Greece on a year-round basis. If a resident contracts with a private lawn service or tree removal service, it is the responsibility of the hired contractor to properly remove and dispose of said material. Appliances and bulky refuse shall be dismantled in such a way so as not to pose a threat to public health and safety. For example, refrigerator doors must be removed from their hinges. Pursuant to the rules of the Commissioner of Public Works, all bulky refuse, where practicable, construction and demolition waste shall be bagged or bundled into packages not weighing more than 50 pounds. Such materials are to be placed at the curb in an area five feet by five feet square by three feet high or an equivalent volume. Amounts in excess of this quantity will require that special collection arrangements be made by the person. Garbage/Refuse shall be stored, ready for pickup, in an approved container as defined herein. Garbage/Refuse to be picked up must be set out for collection no later than 7:00 a.m. on the day of collection, and no material may be placed at the curb before 12:00 noon of the day preceding the scheduled pickup day. Empty containers shall be removed from the curbside or other place of collection by the occupants of the premises by the end of the day on which collection is made from the premises. No vehicle used by the licensed residential solid waste and recyclable collection business shall travel into a residential driveway for the purpose of collecting refuse or recyclables without the prior permission of the property owner. With the exception of commercial establishments and unless prior approval is granted by the Commissioner of Public Works, no collections shall be made on Sundays or holidays. In all instances, unless written approval is given by the Commissioner of Public Works, collection shall not commence earlier than 7:00 a.m., and all collection work shall stop at 6:00 p.m. The Commissioner of Public Works can only grant permission for collection to start after 6:00 a.m. on any particular day. The factor to be considered is whether the Commissioner of Public Works, in his/her sole discretion, considers the road so heavily traveled or under construction that collection after 7:00 a.m. would cause a disruption to the traffic or a danger to those using the roads, including those making the collections. The residential solid waste and recyclable collection business shall issue to his/her customers on an annual basis, at his/her own expense, written information giving his/her customers his/her name, address and telephone number, stating the day upon which collection will be made. Said written information shall contain a summary of services to be rendered by the collector, conditions for pickup and rates. The Town of Greece and Monroe County Division of Solid Waste shall provide information with respect to the requirements of the recycling and yard waste programs. At least two residential solid waste and recycling collection businesses shall be available to service customers in all areas of the Town of Greece. 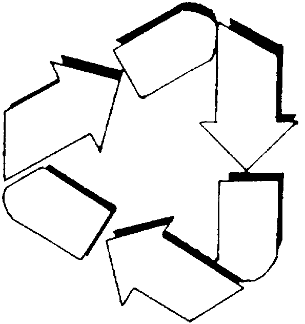 The Commissioner of Public Works shall have the authority to assign a residential solid waste and recycling collection business to a particular customer location if the customer is in an area of Town serviced by one residential solid waste and recycling collection business and is dissatisfied with his/her current service. The Commissioner of Public Works shall assign the residential solid waste and recycling collection business closest to the service area to the account in question. The Commissioner of Public Works may assign a backup service company in the event of equipment or manpower failure of the primary refuse service provider. Refuse collectors shall be responsible for the collection of bulky refuse up to an amount as would fit into a five-foot-by-five-foot square, three feet high, or equivalent volume. If the amount generated by the resident exceeds this amount, the resident is responsible for making alternative collection arrangements within seven days of generation. There shall be no special charges for the collection of bulky refuse properly prepared as specified in this chapter if included in the customer's refuse hauling rate. Materials which are not properly prepared or which exceed the volume and/or weight requirements as specified may be subject to additional charges as set by the refuse collector; provided, however, that the refuse collector informs the customer of the appropriate preparation requirements as specified in this chapter and the additional charges to be assessed for noncompliance, prior to collecting the material. In any event, the resident is responsible for making appropriate collection arrangements within seven days of generation. Construction and demolition waste and debris. Construction and demolition waste and debris shall be collected and disposed of by the municipality, utility or private contractor performing such work and generating the material. Construction and demolition waste generated by the homeowner shall be collected by the residential solid waste and recycling collection business, who shall collect up to an amount as would fit into a five-foot-by-five-foot square, and three feet high, or equivalent volume. If the amount generated by the resident exceeds this amount, the resident is responsible for making alternative collection arrangements within seven days of generation. All material must be in containers not weighing more than 50 pounds each. Garbage/Rubbish. Residential solid waste and recyclable collection businesses shall be responsible for the collection of garbage/rubbish. All garbage/rubbish shall be removed from the location where receptacles are placed for collection without spilling. The refuse collector shall in all cases replace the container and covers in the location where found. Household hazardous waste. It is the responsibility of residents to properly dispose of household hazardous waste. Household hazardous waste shall not be stored or placed for collection with any other type of refuse. The collection of recyclable materials shall be the responsibility of the refuse collectors. The refuse collector shall in all cases replace the containers and covers in the location where found. Authorized residential solid waste and recycling collection businesses shall offer collection services for all recyclable materials to all residential customers for whom they provide solid waste collection services at the same times and on the same days as services are provided to their customers for solid waste collection. Authorized refuse collectors shall not accept for collection solid waste which has not been source-separated in conformity with this chapter. Leaves in minimum thirty-gallon, two-ply paper bags may be collected by the Town. Residential brush/branches may be collected by the Town. Grass will be collected by refuse collectors on a year-round basis in paper bags suitable for a composting facility or approved containers and not weighing more than 50 pounds each. Town leaf collection may begin on or about October 15 of each year, ending on or about December 31 of each year. Yard waste material which is not properly prepared or which exceeds the volume and/or weight requirements will not be collected. The resident will be responsible for making alternate arrangements for collection within seven days of generation. No vehicle used in the collection or transportation of garbage/rubbish or any other material designated in § 174-8 for collection by licensed refuse collectors shall stand overnight with said matter in or on it. No vehicle used in the collection or transportation of garbage/rubbish or any other materials designated in § 174-8 for collection by licensed refuse collectors shall be parked or stored in a residential district when not being used in the actual collection or transportation of said matter. All vehicles and conveyances used in the transportation of garbage/rubbish or any other materials designated in § 174-8 for collection by licensed refuse collectors within the Town of Greece, regardless of place of origin, shall be watertight and so covered so that no part of the load shall blow, leak, scatter or spill. Vehicles used in the transportation of refuse by licensed refuse collectors within the Town of Greece, regardless of place of origin, shall be licensed by the State of New York. All vehicles and conveyances used by residents in the transportation of garbage or rubbish shall be watertight and so covered that no part of the load shall blow, leak, scatter or spill. It shall be unlawful for any person, firm or corporation to engage in the business of receiving, collecting or transporting residential and/or commercial refuse or recyclable materials in the Town of Greece without first obtaining a license in accordance with § 174-5 of this chapter. It shall be unlawful for any person, firm or corporation to fail to adhere to the provisions of § 174-6 of this chapter, relating to the storage of refuse. It shall be unlawful for any person, firm or corporation to fail to prepare materials for collection in the manner specified in § 174-7 of this chapter. It shall be unlawful for any person, firm or corporation to fail to adhere to the provisions of § 174-8 of this chapter relating to the collection and disposition of refuse, household hazardous waste and recyclables. It shall be unlawful for any person, firm or corporation to fail to adhere to the requirements of § 174-9 of this chapter relating to the special regulations applicable to the use of vehicles in the collection and transportation of refuse in the Town of Greece. It shall be unlawful for any person, firm or corporation to violate any other provision of this chapter. Enforcement of this chapter shall be the responsibility of the Commissioner of Public Works, the Building Inspector, the Director of Public Safety, the Chief of Police or their authorized designees, and, particularly, in the case of § 174-6C, pertaining to littering and the unauthorized disposition of solid waste on public and private property, by the Greece Police Department, any other police officer and any other peace officer. Whenever it is found that there has been a violation of this chapter or any rule or regulation adopted pursuant to this chapter, a violation order may be issued by the Commissioner of Public Works, the Building Inspector, the Director of Public Safety, the Chief of Police or their authorized designees to the person, firm or corporation owning, operating or maintaining the premises and/or the business by which such violation has been noted. Violation orders shall be in writing and shall generally identify the property and/or the business and the violation. Violation orders and other orders or notices referred to in this chapter, in the case of violations noted on a particular property, shall be served on the owner or some one of the owner's executors, legal representatives, agents, lessees, any tenant or other person having a vested or contingent interest in the premises, either personally or by certified mail, addressed to the last known address, as shown by the last preceding completed record of the Receiver of Taxes or in the office of the County Clerk. Violation orders and other orders or notices referred to in this chapter, in the case of violations noted on the person, firm or corporation engaged in the business of refuse storage, preparation or collection, shall be served on the owner or some one of the owner's executors, legal representatives, agents or other person having a vested or contingent interest in the business, either personally or by certified mail, addressed to the last known address. The Commissioner of Public Works, the Building Inspector, the Director of Public Safety, the Chief of Police or their authorized designees shall have the authority to issue an appearance ticket subscribed by him/her, directing a designated person to appear in a designated local criminal court at a designated future time in connection with the alleged commission of a designated violation of this chapter or any order made thereunder. Any business, firm or corporation who or which shall fail to comply with any applicable provisions of this chapter shall be subject to the revocation of the license hereunder. The Commissioner of Public Works shall have power to revoke any such license for cause shown after a hearing on 10 days' written notice to the license holder, specifying the nature of the violation. Violation of any of the applicable provisions of this chapter shall severally for each and every violation be punishable by a fine not exceeding $1,000 or by imprisonment not exceeding 15 days, or both. The imposition of one penalty for any violation shall not excuse the violation nor permit it to continue, and all such persons shall be required to correct or remedy such violation or defects within a reasonable time, and each day that the prohibited condition(s) or violation(s) continues shall constitute a separate violation. The imposition of the penalties set forth in this section shall be in addition to any other penalty or enforcement procedure set forth in this chapter or other laws of the Town of Greece or any other jurisdiction, including the application for an injunction to enforce the provisions of this chapter.